Dyeing is the process of adding color to textile products like fibers, yarns, and fabrics. Dyeing is normally done in a special solution containing dyes and particular chemical material. There are many forms of yarn dyeing. Common forms are the at package form and the at hanks form. Cotton yarns are mostly dyed at package form, and acrylic or wool yarn are dyed at hank form. The temperature and time controlling are two key factors in dyeing. 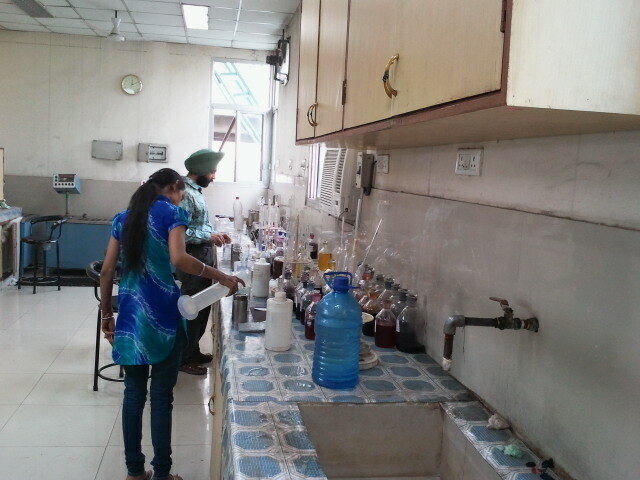 We have our own Dye house which are two section i.e. We used AZO-free (Eco Friendly) dyes and chemicals . We are using branded products in dye house like Dyestar, Ciba/ Huntsman, Croda/ICICI, BASF etc. We have x-lite color i7 spectrometer and Spectra Light for color matching with computerized delta reports. We have RF Dryer make Stray field U.K. for drying the dyed material. 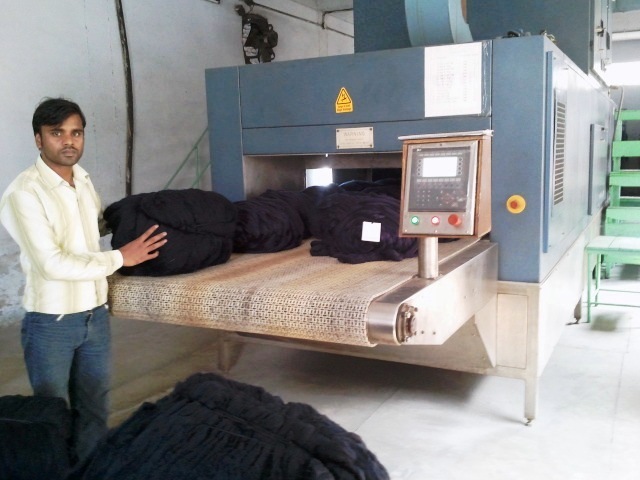 We have our in house wool combing plant and we are the biggest producer of Wool Top in Northern India. Wool combing is a comprehensive term when used in its widest sense, and it embraces all the operations carried out in a top making plant. It includes the processes of raw wool scouring, drying, carding, backwashing and preparer gilling. Then follows the actual combing operation, and the sequences of topmaking processes concludes with two gilling steps called top finishing (or finisher gilling). Combing is not included in the semiworsted or woollen processing routes. Wool combing, the single process, is indispensable in the manufacture of a worsted yarn. We have our own world class laboratory and R & D Centre where we are checked the quality of yarn and developed the of new quality of yarn . We also process new yarn quality according to the demand of customer. Our Lab is approved by Woolmark India (P) Ltd. We are only to provide the Shrink Resist facility in India for pure wool. We are providing best facility to our staff & workers and also provide First Aid Medical Facility in house clinic despite of ESI beneficial. We are providing free accommodation to our most of workers. Our Woollen worsted spinning capacity our current power supply from 3.5 MW Captive Power Unit along with load from arrangement from PSEB would be sufficient. Additionally we have stand-by generators.